Going to school is a core part of Persona 5, and at multiple points during the game, you'll have general knowledge questions thrown your way. These questions come in two varieties: they're either asked directly by a teacher, or they're part of an exam. Answer questions asked by your teacher correctly, and your Knowledge stat will increase. Get good marks on an exam, and your Charisma stat will increase. What's more, you can talk to Sojiro at Cafe Leblanc after getting a good grade and he'll give you a reward. Below, we've listed all of the game's correct answers in order of date. How do you get top of the class in Persona 5? May 23rd: "Together" and "senses"
Answer all exam questions correctly. Your Knowledge stat must be at max rank. This is impossible to achieve in time for your first exam - even if you spend every second of free time studying. In order to top the class for every exam, you'll need to start New Game + with your Knowledge stat already at maximum rank. 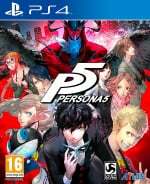 Need more help with Persona 5? We have more guides. What do Persona 5's difficulty settings change? If you're looking for a Persona 5 ending walkthrough, then we reveal how to get the best ending in Persona 5. We also have a Persona 5 social links guide, including where to find all confidants and how to rank up fast in Persona 5. And lastly, here's how to start New Game + in Persona 5 and all Persona 5's romance options. @zimbogamer Some people want the help. If you don't, that's fine. I know that but it's still a bit sad if people use walkthroughs for a game like this. It's meant to be a fresh experience. Each to their own I suppose. I was screaming when one of the questions was an optical illusion. This is super helpful. I've been finding myself using the touchpad in the poll the audience more than referencing this guide, but I know it'll be useful for exams still. There's just so much in persona that I've been using a few guides to supplement my play through since I probably won't play a second time. I'm going through the palaces blind, but things like this and a confidant guide that tells me who the different ones are is useful so I don't miss anything extremely important. Why in real life this doesn't happen((? Thanks for answers to exams http://ask4essay.com/what-do-you-dislike-most-about-exams/ This is my favorite game.